In this work an approach to the modeling of the biological membranes where a membrane is treated as a continuous medium is presented. The Nernst-Planck-Poisson model including Poisson equation for electric potential is used to describe transport of ions in the mitochondrial membrane—the interface which joins mitochondrial matrix with cellular cytosis. The transport of calcium ions is considered. Concentration of calcium inside the mitochondrion is not known accurately because different analytical methods give dramatically different results. We explain mathematically these differences assuming the complexing reaction inside mitochondrion and the existence of the calcium set-point (concentration of calcium in cytosis below which calcium stops entering the mitochondrion). 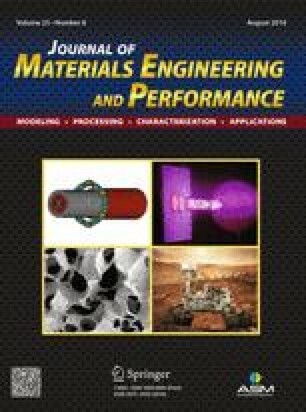 This article is an invited submission to JMEP selected from presentations at the Symposium “Interface Design and Modelling,” belonging to the Topic “Joining and Interfaces” at the European Congress and Exhibition on Advanced Materials and Processes (EUROMAT 2015), held on September 20-24, 2015, in Warsaw, Poland, and has been expanded from the original presentation. This work has been financed by the AGH Grant No. 11.11.160.768. The authors would like to thank Professor Krzysztof Dołowy for inspiring this work and his valuable comments pertaining the simulations.